Els Weir, Principal at International School Twente discusses how Britannica School helped improve the safety of their students online when researching. We identified that we needed a source of trustworthy and safe information for our students and teachers to use within the school, as we felt that we did not currently have this. Student safety online was an issue for us; our students spent a lot of time online and they are still quite young. We were concerned that they were not aware enough of the negative sides of the internet and we wanted to ensure that they were safe when they were researching. When we were searching for a new resource, Britannica stood out to us because of the wide range of topics that it covered. Also, we were impressed with the overall look and feel of the product, and navigation is really simple. It has saved our teachers a lot of time in vetting online material to ensure that it is appropriate for our students. As an international school, the level of English varies a lot throughout the school and Britannica has solved a lot of problems we encountered there by offering varying language levels in all of their content. 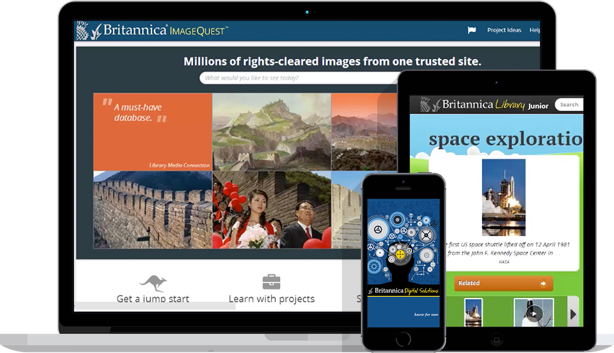 Britannica staff have been a pleasure to work with, and very helpful and we are really pleased to now be using Britannica resources for our school. "We were impressed with the overall look and feel of the product, and navigation is really simple." "It has saved our teachers a lot of time in vetting online material to ensure that it is appropriate for our students."